Every small business should track their sales in order to evaluate performance, opportunity and trends. In a good system sales will identify date and time of purchase; customer’s name and demographic information; items purchased with quantity and dollar values and finally, methods of payment. These four essential pieces of information are explained in more detail in the information gathering section below. But the most important piece of information to track is the unique sales transaction identifier. 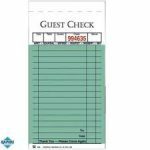 The most common are assigned numbers to sales receipts. But many businesses generate sales in a non-traditional retail environment using invoices. The most common form of recording sales is at the point of customer exit. The customer sets their purchase on the counter and the clerk checks them out. Every modern retail, accounting software assigns a unique identifier to this transaction. So tracking of the transaction is perfunctory. Any mistakes are adjusted automatically through a simple void process. But not all businesses utilize exit pay. Some businesses are involved in contractual arrangements, thus another method is used – invoicing. 1) The customer John Doe is the control account identifier in accounts receivable. Remember, accounts receivable is customarily a control account. 2) All invoices have a unique identifier, in the example above it is 60421. 3) Sometimes the sales ledger will have several line items of entry if the customer purchases various items. 4) Many sales journals use an additional column for the item identifier for product or service tracking. As the bookkeeper your job is to track the invoices. There should never be a skipped invoice number in the register. A skipped ID is a sign of a potential problem, more on this later. The most common tool used for invoicing is the accounting software. QuickBooks allows the business to start the invoice numbering system at a preset identifier. Simply click on Edit/Edit Preferences/Select Invoices and indicate the starting point (number) for invoicing. When an invoice is created, the salesman selects the customer from the customer list. If the customer isn’t available on the list most accounting software packages allow the clerk or sales rep to enter the customer information on the fly. Management needs to determine the minimum required information for the customer fields. When using item codes the price per unit field automatically populates and total dollar value populates based on quantity. Some software forces the sales representative to select if the item is taxable for sales tax purposes. Once completed, the invoice is saved and printed for mailing or handing to the customer. Once saved the unique identifier can no longer be reused. If there is a mistake, the invoice can be voided and a new replacement invoice is created with a new number. DO NOT DELETE INVOICES! I encourage management to select the ‘Do not allow deletion’ feature in the invoicing module of the software. This is an internal control requirement and benefit (more on internal control in the advanced bookkeeping section). Without the ability to delete invoices, sales representatives find it more difficult to manipulate the system. A SEQUENTIAL NUMBERING SYSTEM WITH INVOICING ALLOWS THE BOOKKEEPER AND MANAGEMENT THE ABILITY TO TRACK SALES, RECONCILE INVOICES AND DISCOVER DISCREPANCIES. There is nothing wrong with using hand tickets it just needs to be tracked. The best tool for tracking is using a batch assignment. If the normal volume is five tickets a day, a batch of twenty-five is assigned to the employee (service technician) on Monday. Each day this employee should turn in his completed tickets for the bookkeeper to record. Voided tickets are turned in also. Make sure voided tickets are recorded to the sales journal. You need to realize that tracking invoices is a function of sales and not accounts receivable . If properly executed the sales register will create a line by line list of every invoice (ticket) used in the system over a set period of time. I suggest using the entire month of sales to compare the invoices and hand tickets against what was issued, outstanding and the register. In the sales journal the transaction identifier is the invoice number. Some accounting software will allow you to sort the information on this number and select the ordering preference (lowest to highest or high to low). If the sorting feature is nonexistent, export the report to Excel and sort the data there. Look at the prior month, what was the ending number and then what is the beginning number for the month under review? Any unused hand tickets should be physically in your hands. Mark them ‘VOID’ and enter them into the system at the end of the month as void tickets with zero value. You may have to repeat this tracking process several times to account for every invoice and hand ticket. So why account for every ticket? Simple, as the bookkeeper you want to make sure every sale is entered into the system. I can’t tell how many times I’ve had credits for customers and no invoices to recognize the sale and apply the credit against. The most common culprit is the owner! Owners hate paperwork and often neglect to enter the invoice. A secondary reason and rare is an employee stealing from the company. If a customer pays in cash, the employee would simply pocket the money and not turn in the ticket. The best tool prevent this is work orders (advanced issues section of bookkeeping). The backup is tracking tickets (not as effective as work orders). But overall, this isn’t the primary reason for tracking invoices, it is to make sure all sales are accounted for during the accounting period. If sales tracking is properly set up, the company can gather a lot of valuable information. One of the ways a business improves is by using valuable information to their advantage. When a customer buys a product or service he is telling you a lot about himself. Take advantage of this important information. There are five minimum bits of information every business needs. 1) Date and Time of Purchase – this information is essential to properly staff the operation during peak times and for certain days of the week. As an example, common sense tells anyone that recreational based businesses should be fully-staffed on weekends. Emergency rooms need more assistance on Friday and Saturday nights. But to illustrate this to a high level of performance let’s talk WalMart. WalMart has several years of data. Using this information the schedule for staffing levels in preparation for holiday sales is increased for the days and hours of high activity. This same concept is needed in small business. For example, think of a bakery, not many people buy doughnuts at 5 PM. However, on a weekday morning at 7 AM I’m willing to bet there is a line. Most businesses are not this extreme, still they should track time, dates and days of the week to confirm appropriate hours of operation and staffing levels. 2) Items Purchased and Volume– this information is used to ensure adequate quantity of a particular item in inventory. In addition there may be peak times of the year for consumption. For example, my son works at a national chain store called Tractor Supply. They don’t sell too many snow blowers in May, actually ZERO. But come December they can’t keep them on the shelf. Their system adjusts the number of units for each store based on prior year, volume and weather patterns. In small business you need to do the same. Take for example an auto lube shop. Do the customers purchase expanded services? If so, how much and how often? Is it tied to a promotion? All of this information is incorporated into that sales invoice. 3) Customer Information – this critical piece of information helps the business stay in contact with the customer for continued sales or service. Think of your dentist. Every six months you get that funny card in the mail reminding you that your teeth need cleaning. Without customer information to send out reminders, sales will decrease. The more data mined, the better for marketing and advertising purposes. Tracking invoices is a function of sales. It is designed to ensure all sales are recorded to the proper revenue accounts. In addition, it is a tool to verify work completed and customer patterns. If used properly the data gathered is invaluable to the small business. Act on Knowledge.